Founded in 2010, Ohio USA. BrainFeverMedia is known for their range of photographic editing tools as SkyLab Studio, LensFlare Studio, Reflect Studio and Circular Studio for Mac and iPhone. Open the .dmg file and drag the app to the applications map. After opening the application you’ll notice there are no preferences to be set from the menu. The menu is basic and has few options. All editing is done from within the application and require no special settings. At first glance you might feel tools are missing but just look at the ‘Preferences & Tools’ below and you will find enough tools to help you create some stunning editing effects for your photo’s. Once you get the hang of it, you start the feel more comfortable with Reflect Studio. The interface is well designed and feels logical as do the editing tool-settings. 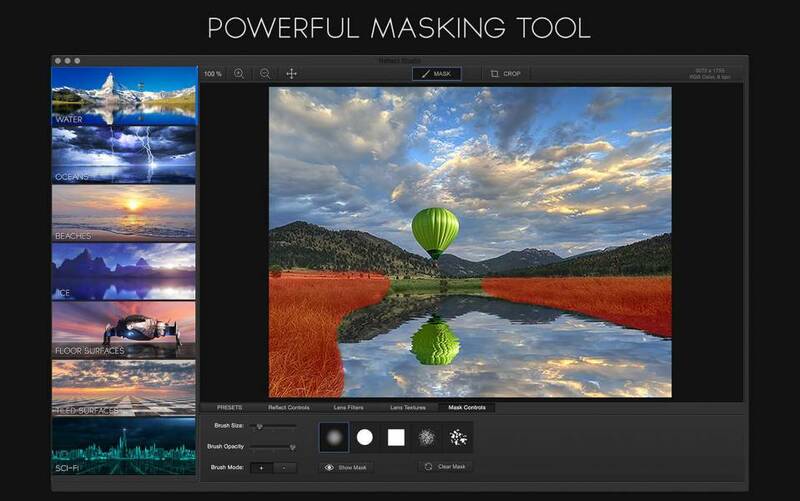 No real need to perform more complicated masking techniques like professionals do, but just basic skills are adequate for using this application. The amount of provided ‘Presets’ are fair. I hope future editions will include some more as reflection-element addition needs to blend in your photo like it was the real thing. 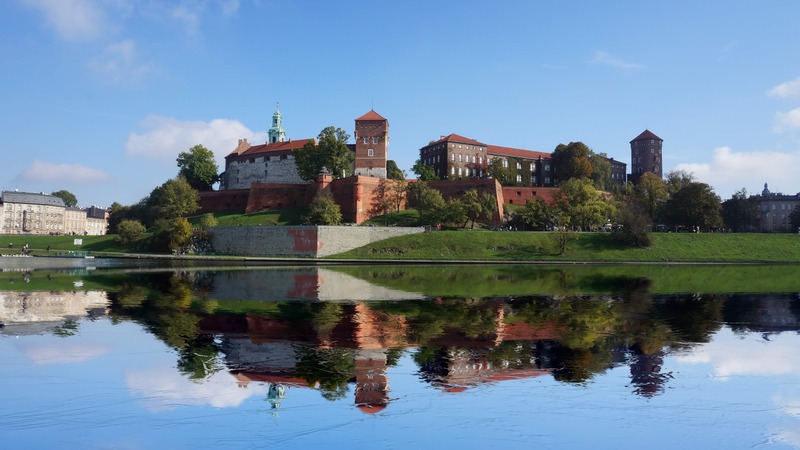 The usability of adding a reflection-element strongly depends on the composition of the original photo. You need a fairly clean horizon view in order to make it blend in without losing photo information. You can adjust the diffuse setting etc. but layers are on top and can be blended only when objects are not part of your horizon. That said, it still does a pretty good job with many photo’s. Making a nice composition all comes down to your personal creativity. Reflect Studio has the potential to really upgrade your photo. Adding preset elements like ‘ Fog’ and is part of this application. Presets – Reflect includes a wide selection of presets from calm water and ocean waves to ice and metal. 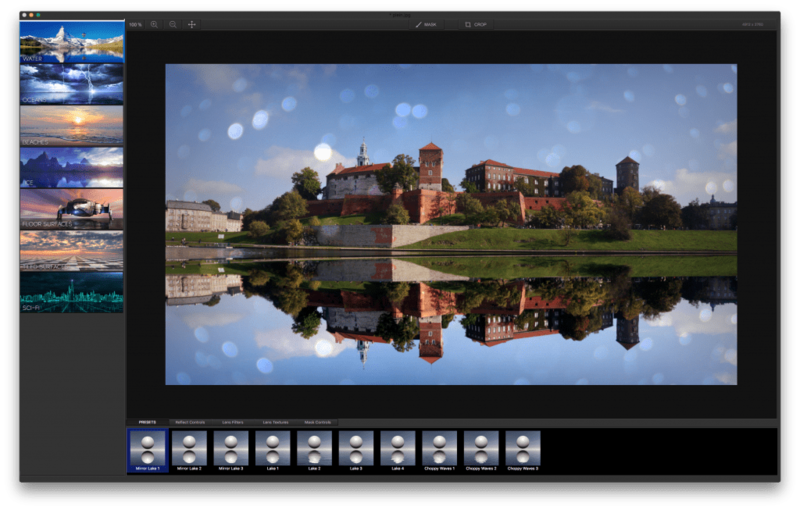 Customize – Customize each reflection type, adjust wave size, fog, blur, color, etc. 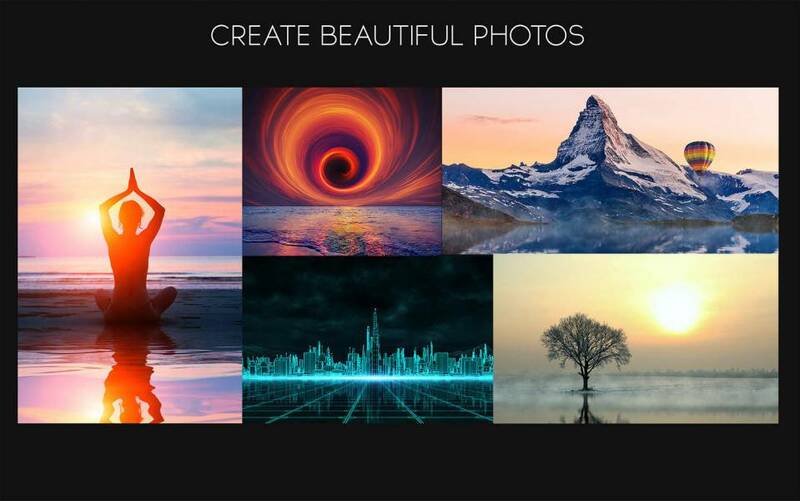 Professional Filters – Make beautiful and unique photos with Reflect’s professional filter choices. Fog and Haze – Add atmospheric effects like fog and haze for inredibly realistic horizons. Lens Textures – Add surface and glass lens textures for a stylized and artistic look. 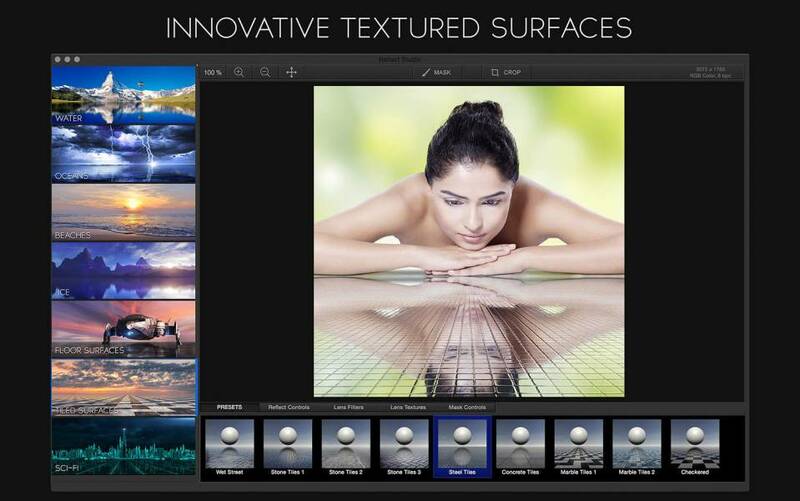 SciFi Surfaces – Take your photos to another dimension with SciFi computerized floor surfaces. Reflect includes a wide selection of presets from calm water and ocean waves to ice and metal. 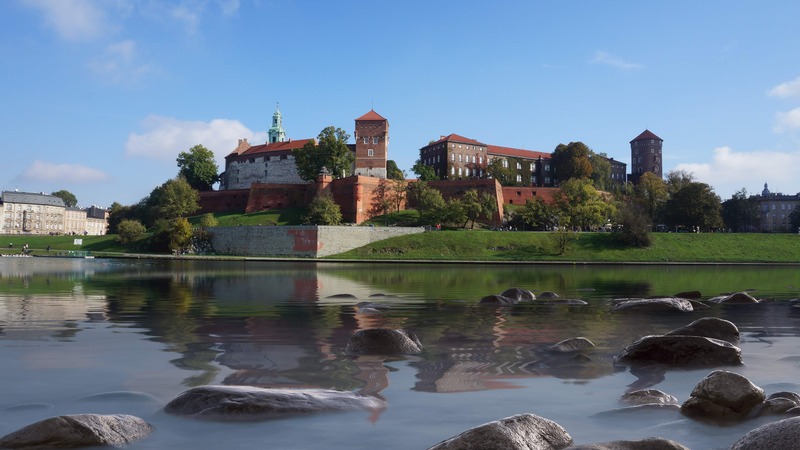 Below you find some examples created from my personal photo’s: Krakow Castle Poland. 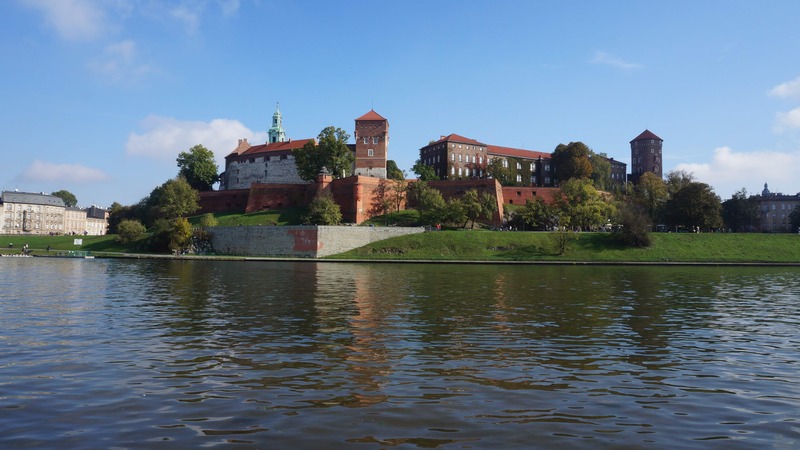 The original Wisla river is calm and wide ! Choose a picture with a fair straight horizon for a reflection-addition scene, for natural looking compositions or create your own astonishing photo impression. I really enjoyed playing with all possibilities offered. Anyone should be able to produce some great looking pictures, regardless of your choice. 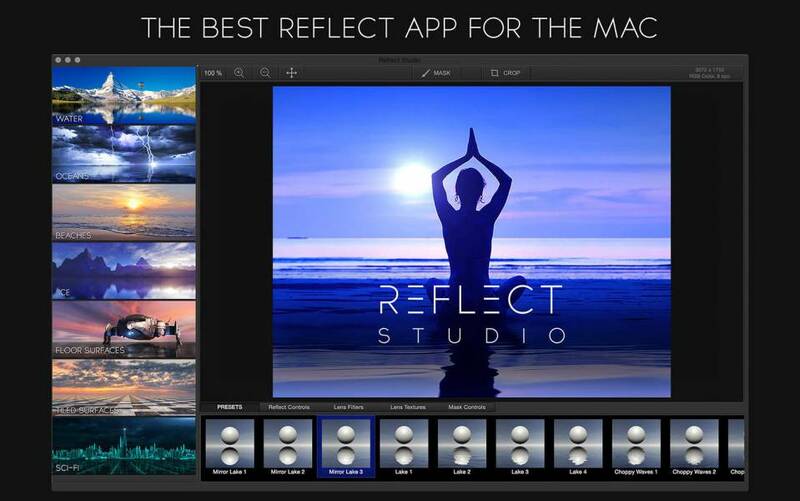 Reflect Studio is a must for anyone enjoying the creative part of photo editing. I only found the export options a bit disappointing really. The right export options would be so much better ! We really enjoyed editing with Reflect Studio. It definitely is an editing tool able to produce some professional results. This application offers great value for your buck. Great pricing and lots of tools and adjustments make this something to shop for. So is it perfect ? Well nothing is perfect in life but as an editing tool its getting close to what is claims to be. 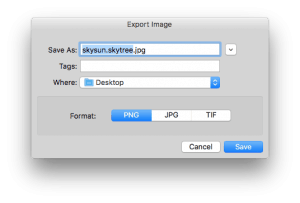 Get the export options upgraded as shown above and you make even a professional happy. 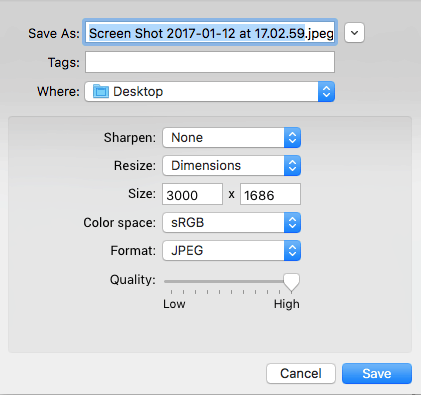 Most users will be more then happy the way it deals with export and saving options, but the professional to be just needs a little more. Still we have a very nice piece of software to work with. Its got all the tricks to make you an editing magician. Like to do this kind of editing? Don’t think twice just get it.